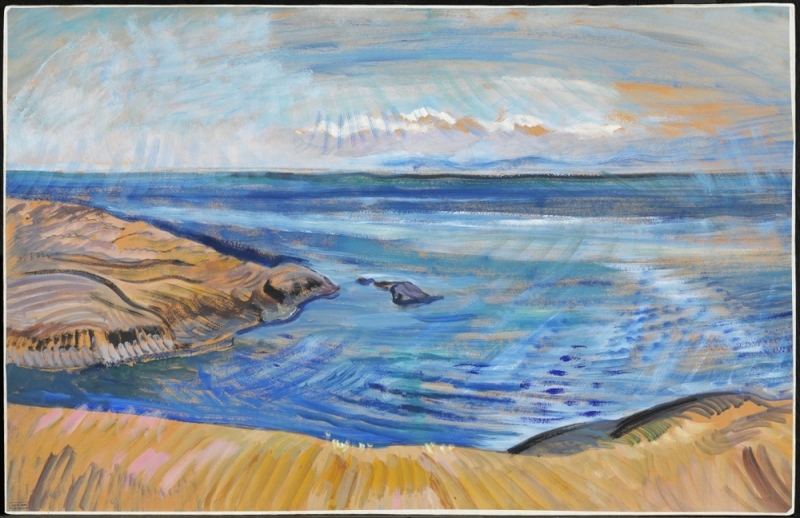 Emily Carr was a painter and writer whose lifelong inspiration was the coastal environment of British Columbia. Her later paintings of the vast Canadian West Coast sky and monumental trees, with their sweeping brushstrokes, demonstrate her continued desire to paint in a "big" way that she felt was in keeping with the expansiveness of her environment. Carr first studied at the California School of Design in San Francisco from 1890 to 1893 and sketched in the First Nations village of Ucluelet on the west coast of Vancouver Island in 1899. Carr travelled to England in 1899, studying in London and at St. Ives in Cornwall. She returned to Canada five years later, first to Victoria and then moved to Vancouver to teach. In 1907 she travelled by ship to Alaska and determined to depict the monumental arts of the First Nations of the West Coast. In search of a bigger vision of art, she went to France in 1910, where she was introduced to the work of the Fauves, French artists who were dubbed the "wild beasts" for their daring use of bright colours. 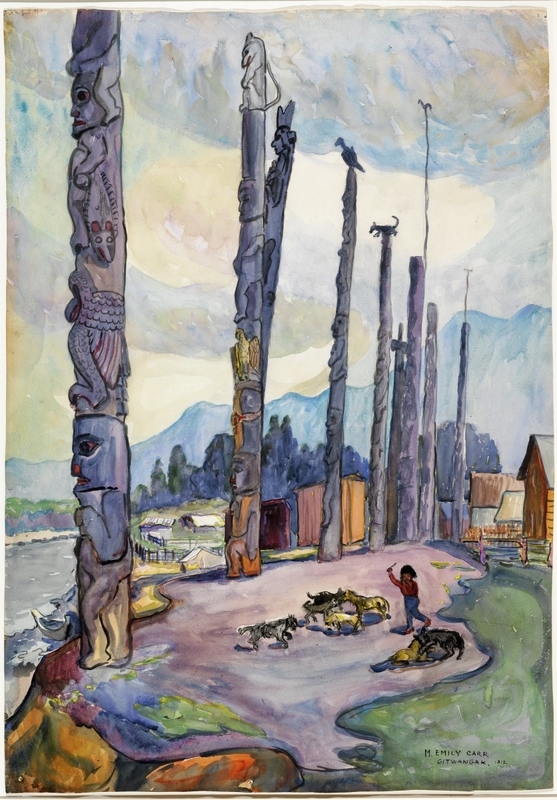 In 1912 Carr made a six-week painting trip to fifteen First Nations villages along the British Columbia coast. After exhibiting the results in Vancouver, Carr settled in Victoria, where she lived by renting out rooms, growing fruit, breeding dogs, and, later, making pottery and rugs decorated with Native designs to sell to tourists. In 1927 Carr was invited to participate in the Exhibition of Canadian West Coast Art in Ottawa. 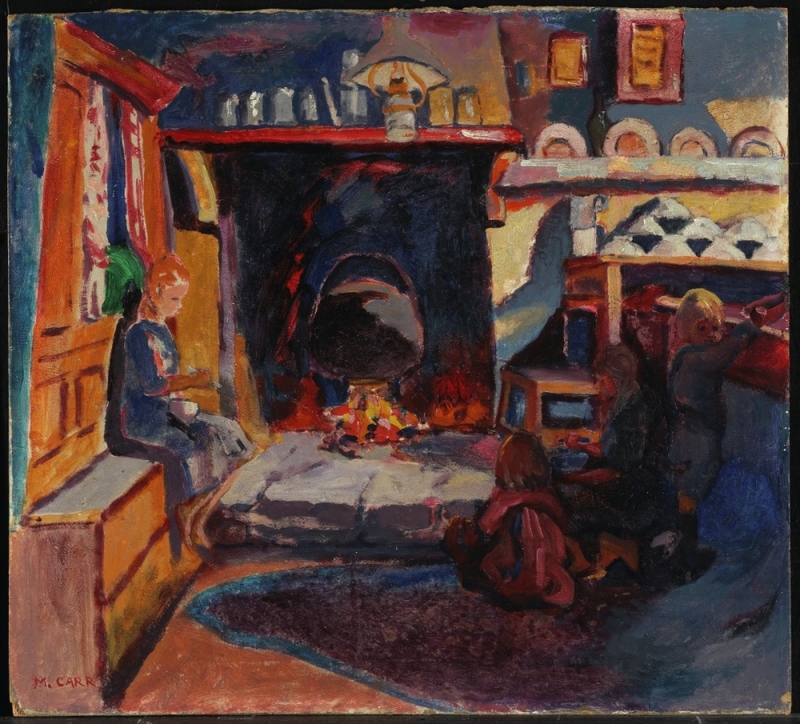 The exhibition included thirty-one of her paintings, as well as pottery and rugs. She came east for the opening, and in Toronto met members of the Group of Seven, beginning a lifelong correspondence with Lawren Harris. After the success of this trip, Carr returned to Victoria and began the most prolific period of her career. She painted Aboriginal subjects until 1931, then took as her principal themes the trees and forests of British Columbia and the coastal skies. In 1937 she suffered a heart attack and devoted much of her time to writing. Her first book, Klee Wyck (1941), received the Governor General's Award for literature in 1942. She had solo exhibitions in Vancouver, Toronto, and Montreal prior to her death in 1945.